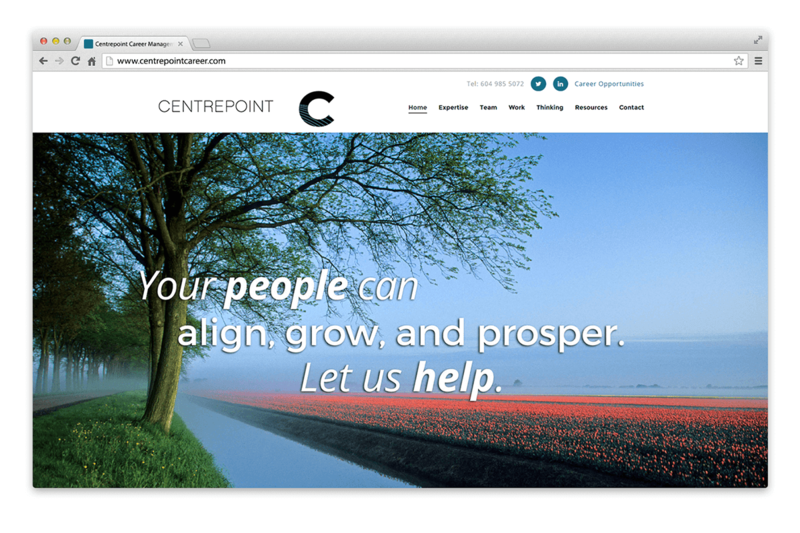 Centrepoint Career | NetClimber Web Design Inc.
Centrepoint required a new website on an online professional platform to focus on engaging corporate clients. 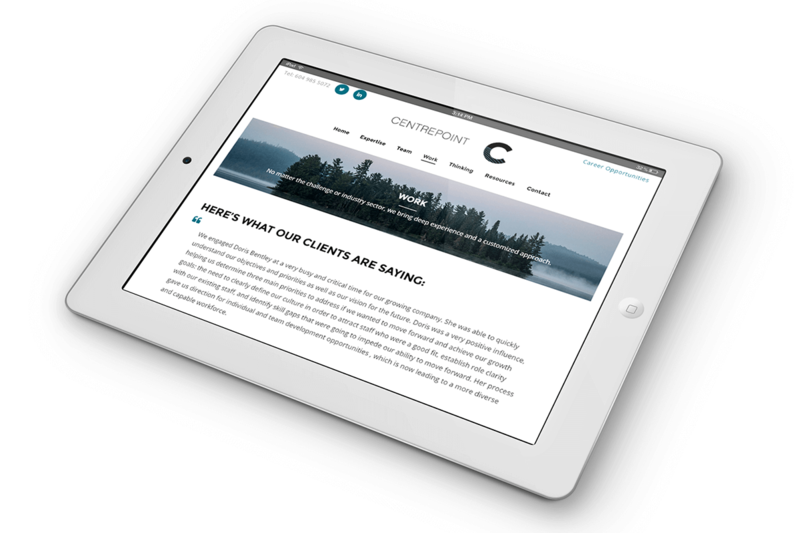 NetClimber Web Design created a fully responsive WordPress website that seamlessly integrates Centrepoint’s logos and custom graphics. 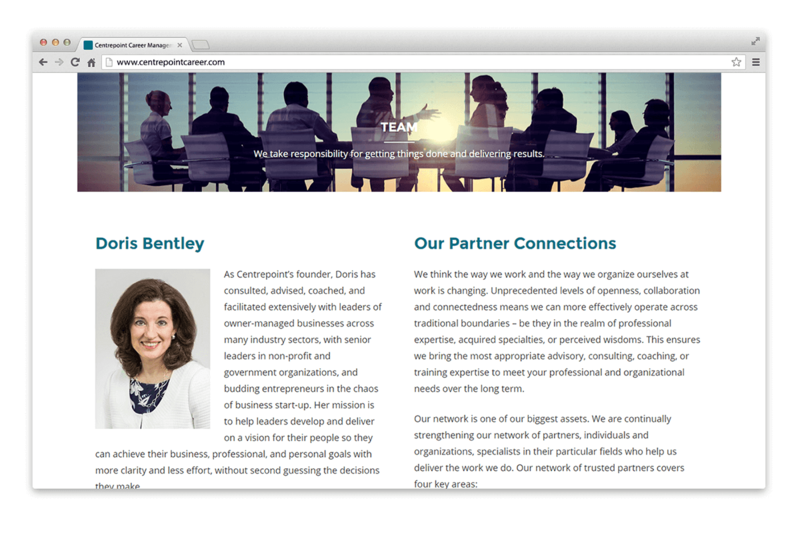 The website looks professional and appealing on desktops, tablets, and mobile devices. 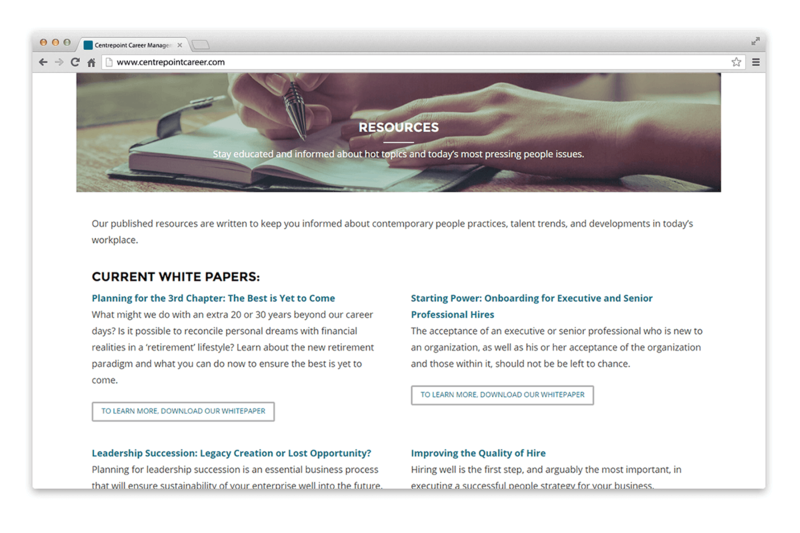 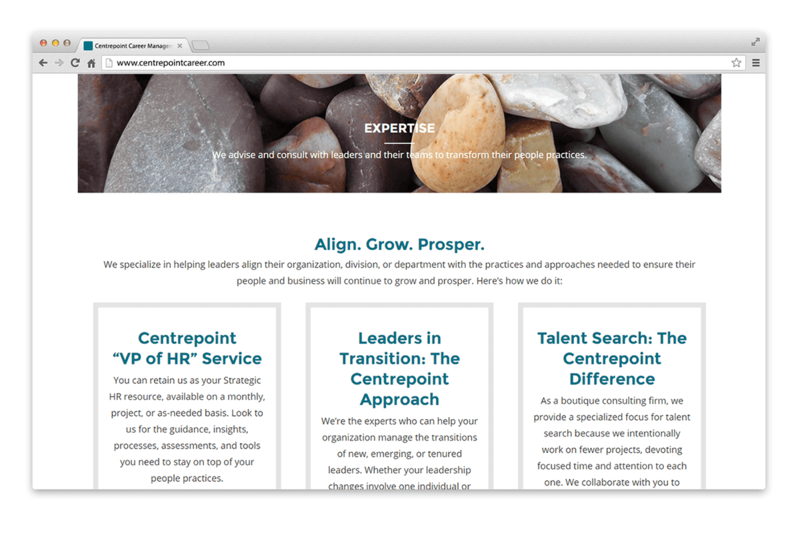 The Centrepoint website features an extensive blog presented in a grid style layout, and resource section containing custom forms for clients to access Centrepoint’s whitepapers.